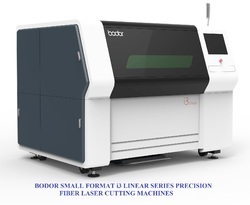 Manufacturer of a wide range of products which include high power fiber cutting system, bodor fiber laser metal cutting machines - s series, bodor dual use fiber metal laser cutting machines with tube cutting option - ft series, bodor fiber laser metal cutting machines - f series, bodor fiber laser metal cutting machines - i3 series with linear motors and epilog zing co2 laser engraving & cutting system. We are offering a wide array of High Power Fiber Cutting System to cut metals. Price starts from 50 lacs, Higher the laser power, higher the cutting thickness-cutting speed-price. 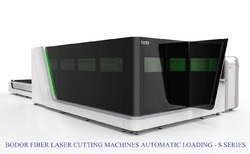 Cutting Heads Available: 5",7.5", 10"
Laser Lab India Pvt Ltd presents state-of-the-art Fiber Laser Cutting Machines to cut sheet metals and also for steel tube cutting. Machines can cut Stainless Steel, Mild Steel, Aluminium, Brass, etc. 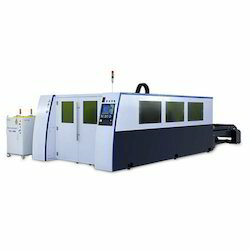 Lasers come with 500, 1000, 1500, 2000, 3000, 4000, 6,000 and 12,000 watts of Laser Power options as per the cutting speed and material thickness requirements. Laser Lab India Pvt Ltd presents state-of-the-art Fiber Laser Cutting Machines to cut sheet metals and also for steel tube cutting. Machines can cut Stainless Steel, Mild Steel, Aluminium, Brass, etc. Lasers come with 500, 1000, 1500, 2000, 3000, 4000, 6000 , 8000, 10000 and 12,000 watts of Laser Power options as per the cutting speed and material thickness requirements. 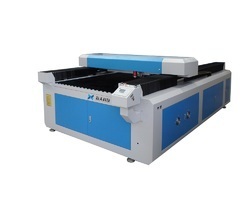 Working Area : Zing 16 - 16"x12"
Working Area : Zing 24 - 24"x12"
This is CO2 Laser Cutting Machine for Metal and Non Metal Cutting, which can cut SS and MS up to 2 mm thickness and Acrylic, Wood, MDF, etc up to 22 to 25 mm thickness. Work area is 8x4 feet and 4x4 feet. 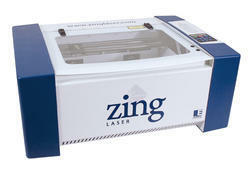 Looking for Laser Cutting System ?